For many, the topic of spam may be well known and this article will serve as a review. However, whether you are new to spam or a spam veteran, I hope to supply some valuable information nuggets. Please feel free to contribute to the good of the conversation in the comment section. Spam is unsolicited bulk emails from a stranger. Problems occur when high volumes of spam seize an inbox burying legitimate emails. This article briefly explains where the term spam comes from, how spammers commandeer addresses, and how to reduce or eliminate spam intake. 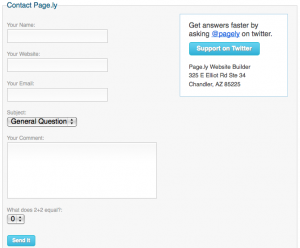 Pagely offers forms to help people minimize/eliminate spam occurrences. Where did the term spam come from? The very first spam was sent in 1978 by DEC through an ARPANET directory but the bulk mail did not inherit the name spam as of yet. The term spam originated from a skit by Monty Python’s Flying Circus. In the following Monty Python spam clip, a chef “force feeds” verbal spam to a gentleman inquiring about the menu. Early research by Brad Templeton determined MUD picked up the term from the clip and gave it the new meaning. Spammers gather emails using many techniques. With one method they create spambots to search/spider millions of websites in search of the @ sign. Once they find an @ sign, they add the address to their collection. Spammers also create sites with great offers such as a sweepstakes or purchase addresses from large companies holding contests. These sweepstakes/contest sites require an email address to enter and later the addresses are sold to spammers. Another method requires that you “opt in” to receive mailings from an institution’s partners. If you agreed to receive mailings, your address was sold to a spammer. Also, spammers use software to test the validity of millions of random email addresses that are housed at large email companies. In other words, they enter the email into the “forgot user name” field and if it’s valid, spammers know that it is a legit address and then they sell it. Another method spammers use involves sending out viruses to personal computers which turns them into “zombie machines”. The spammer then uses the personal computer as a middle man to send their unsolicited emails. Phishing occurs when a fake site portraying a real site gathers personal information from individuals and then sells the information. How can I reduce or eliminate spam? Many options exist to reduce spam. When entering your email address to websites look for information claiming that they don’t share information with 3rd parties. Sites with CAPTCHA’s offer a little more protection. 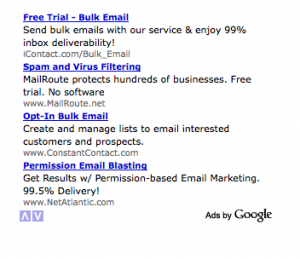 Spam filtering software also helps reduce spam. Gmail prides it’s filters and claims that they remove 99% of spam mail. MailWasherPro and Cloudmark ActiveFilter are two other filters. Many filters exist. Today numerous companies, including the White House, provide a form to fill out. The form allows parties to receive mail without subjecting email addresses to potential spammers. Pagely uses forms. – The first half of 2009’s email traffic received an average of 85.5% in spam.